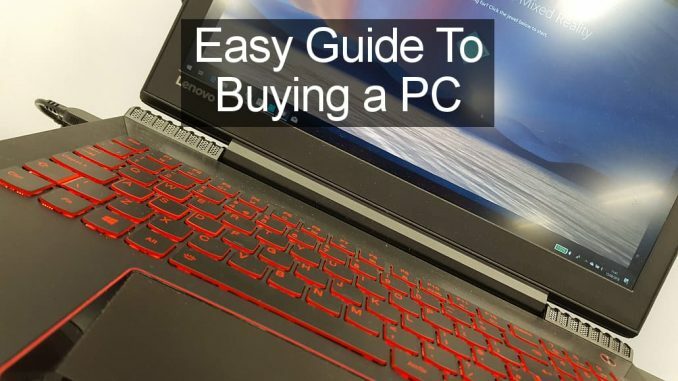 This guide is intended to be a non-technical look at PC specifications for a casual buyer looking for a Windows laptop or desktop computer for general use. Some people will want to dig deep into technical specifications, but many people do not need to and you just have to focus on a couple of important components. 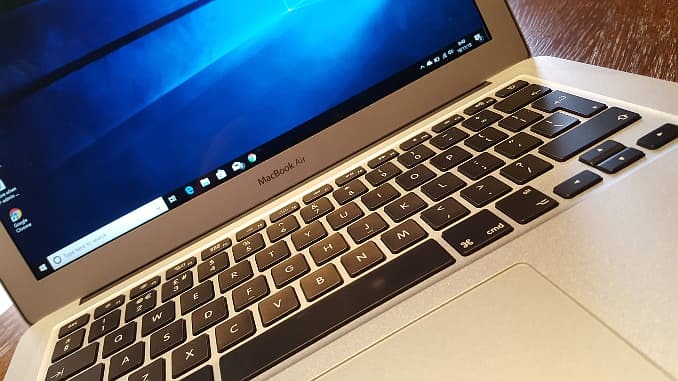 Laptops have overtaken desktops to become the favourite for many users because they offer an all-in-one solution and are more convenient for many tasks. You can use them on a desk, on your lap, and in cafes, hotels and other places with free Wi-Fi. Before starting, it has to be said that one computer is not perfect for everyone and some people have special needs. For example, if you play the latest games, spend a lot of time video editing, podcasting, music production, and so on, you need a computer specially designed for your activity. Here I will look at general computing for someone that browses the web, uses email, office software either on the computer or online, a bit of light photo editing, social media, video streaming from from the likes of YouTube and Netflix, website building or blogging and so on. A mid-priced general computer is good enough for these activities and you don’t need to spend hundreds on the latest graphics card or CPU if you don’t play the latest games. You don’t need to buy terabytes of internal and external storage if you don’t edit video, podcasts or music. Just because you don’t do anything very demanding on your computer, it does not mean that any computer will do. It won’t. There are some very low specification PCs at the bottom end of the PC market that are not recommended because you will outgrow them very quickly and will soon discover how limited they are. Don’t buy what you need today, buy a computer that will be useful next year and the year after. 1 How much RAM do you need? Windows 10 will run in 4GB of memory, but it quickly runs out as applications are opened. Even opening 10 tabs in a browser can cause it to run out of memory. Insufficient memory has always been a factor that limits the performance of the computer and it is no different today than it was 15 years ago. Applications and operating systems grow in size over time and they use increasing amounts of memory. Windows XP for example, would run in 0.5GB of RAM, but Windows 10 requires at least 2GB just to boot, before you even run any programs. Ignore laptop or desktop computer with 4GB of memory because you will regret it sooner or later. When memory is all used, the computer slows down to a crawl and is barely usable. If you see the speed of memory quoted, higher numbers mean higher performance. 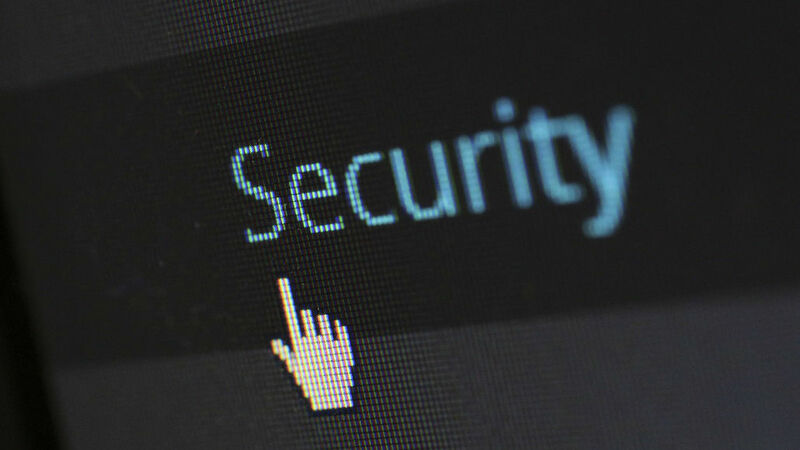 Speed may be quoted as 2400MHz or 2666MHz and so on, and the higher number is faster. Buy a PC with a minimum of 8GB of memory and preferably 16GB. 2 What type of storage do you need? The choice is between a solid state drive (SSD) and a hard disk drive (HDD). SSDs are super fast compared to HDDs, which are quite slow. However, HDD storage is much cheaper per GB than SSD, so often a computer in the budget to mid-price range will either have a big HDD or a small SSD. Which is best? A PC with an SSD will outperform one with an HDD, so SSD is definitely recommended, but problems can arise with the limited storage that many provide. You will struggle with a 64GB drive and you will find that it quickly becomes filled. Even if it is not quite full, there may not be sufficient space to update Windows, which needs around 20 or 30GB to work with. A very light user might be able to cope with a 128GB drive, but many people will struggle and more is better. Sometimes a PC will contain a small SSD and a large HDD, which means you get speed and capacity at the same time. This is an acceptable compromise and Windows will run from the fast SSD while the HDD is used for large and seldom used files. Buy a PC with an SSD that has a capacity of at least 256GB. The other PC components are less important for general computing. There is a choice of processors for example, and you could get an Intel Core i3, i5 or i7, where higher numbers indicate higher performance. However, it is more complicated than it appears because there are different generations of CPU and there are many CPU variations with slightly different specifications. Generally speaking, the higher CPU number and the higher the generation number, the more powerful the CPU. At the extreme budget end of the PC market are Celeron and Pentium processors, but the performance is limited and they are best avoided if possible. They tend to lack in the RAM and storage departments anyway. Go for Core i3/5/7. AMD CPUs are sometimes offered as alternatives to Intel’s. Avoid the cheapest budget models. Look for AMD Ryzen 3, 5 and 7, which are good CPUs that are fine and work well in Windows PCs. It is worth bearing in mind that a PC with an Intel Core i3, lots of RAM and an SSD will feel faster and more responsive than a Core i5 or i7 with minimum RAM and an HDD. Don’t get a powerful processor if it means skimping on other components because it will not perform well in a restricted environment. If you buy a PC with the right RAM and SSD, it usually comes with a good CPU. Intel graphics are often found in low to mid-priced computers and a simple way to compare models is to look at the number. Higher numbers for the Intel graphics indicate better graphics performance. Avoid the lowest numbers. If you don’t play games, there is less need to carefully choose very high performance graphics and integrated Intel graphics are OK for general tasks. Nvidia or AMD graphics are offered in mid-range computers and as with Intel, higher numbers indicate better performance. The screen resolution should be at least HD – 1920 x 1080 pixels. If you buy a PC with the right RAM and SSD, it usually comes with reasonable graphics. A laptop offers many benefits over a desktop computer, such as all-in-one design, portability and convenience. Desktop PCs are not portable, but may offer slightly higher specifications for the same price. Some components on a desktop computer, such as the keyboard and screen, are easy to replace by non-technical users. Just unplug them and plug in a new one if they break. You can’t do that with a laptop and a failure of a component is more difficult and costly to repair. However, the benefits of a laptop may make it worthwhile. When shopping for a computer, pay attention to the memory and storage above all else. Windows runs poorly on a PC with only 4GB of RAM no matter how good all the other components are, so get 8 or 16GB. SSDs outperform HDDs, but they are higher priced and smaller capacity. Go for an SSD, but avoid anything less 256GB or you risk running out of space for photos, videos and music.